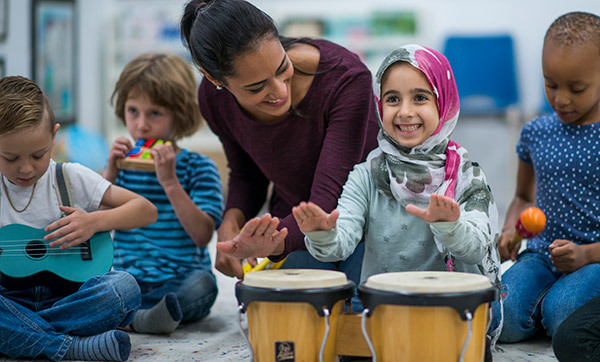 This webinar will explore the whole-child philosophy, why this approach is so important to ensuring that children are excited and engaged lifelong learners, and the positive effect it has on children’s academic and social–emotional gains. We will discuss what this approach looks like in action and share best practices, focusing in particular on the transition into kindergarten. An archived recording of this webinar is now available to view on-demand. Please register below to access the recording. The live webinar event has ended. An archived recording of this webinar will soon be available to view on-demand. Please register below to be notified when the archived recording is available. Don’t worry! Register anyway and we’ll send you a link to the archived webcast when it’s available. Questions? Please e-mail us at [email protected]. The webinar will be recorded and shared with all registrants within one week of the live event. At this time, we do not offer certificates of participation or completion for our webinars. This webinar will be hosted on the Go To Webinar platform. You can check your system compatibility here. Your favorite Teaching Strategies® webinars are now available in one place for you to watch and reference when it’s most convenient for you. Click here to find many of our past webinar presentations. Copyright © Teaching Strategies, LLC. All Rights Reserved.